I was in need of some cute vintage jars for my new home and came across Zen and Cute on Etsy. 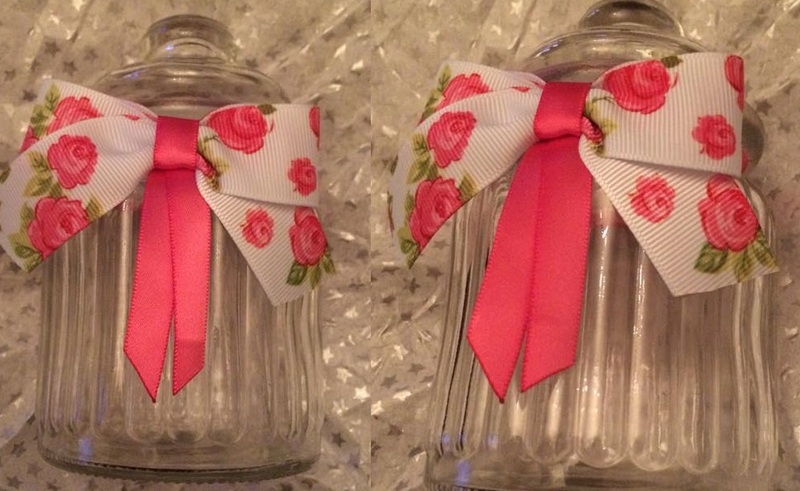 Sterenn's jars are ridiculously adorable and I needed one!! Sterenn also makes very cute signs for the home - there's an especially sweet Twitter themed one which I might have to purchase. Here's my jar. I love how precise and neat the bow is, I could never be as neat as that! There's a choice between a grey polka dot bow and this English Rose one. I love the vintage-feel of this jar, it will look beautiful in my country kitchen! It's just lovely and everything I expected when ordering. Check out Zen and Cute on Etsy here!